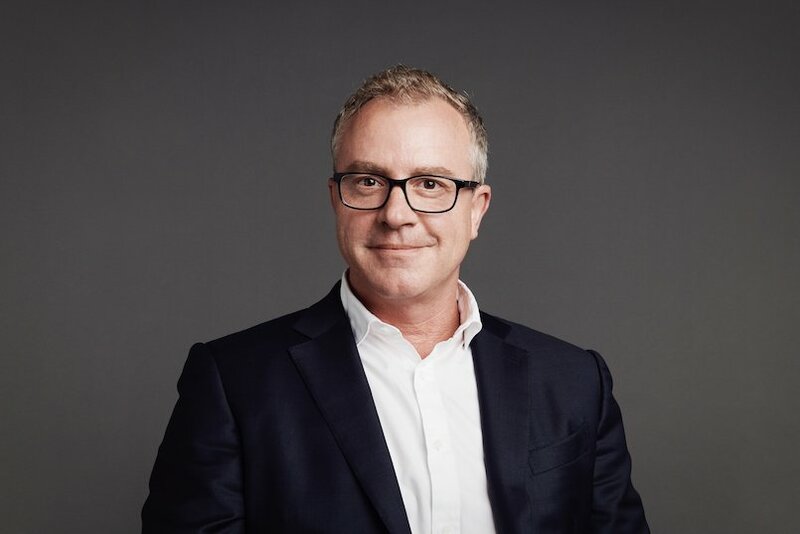 Andrew Little is the CEO of DDB Australia and here he discusses with Darren the changes in the Advertising landscape and the agency responses to those changes including in-housing agency services within advertiser organisations and putting media and creative back together inside the agency. He shares the way that DDB works with their clients and their media partners to provide a full service offering for advertisers. Welcome to Managing Marketing and today I’m at the offices of DDB Sydney and sitting down with Andrew Little who’s the CEO of DDB Australia. Welcome, Andrew. Thank you very much, Darren. Nice, happy to be here. Now, you’ve been here quite a long time, it’s been two decades, wouldn’t it be, or almost? Just celebrated nineteen years so this is my twentieth year in the business across the Melbourne business and the Sydney business, yeah. So that means I started P3 around the same time you went to DDB. Two success stories, Darren, two success stories. Well, absolutely. But look, it’s an interesting time, isn’t it, I imagine, to be CEO of an agency network. It is, it is absolutely. There’s a hell of a lot of change going on but equally, sometimes I like to think that nothing has changed at all. Isn’t that interesting? Well what would you say hasn’t changed because it’s interesting, I see more change happening to the industry and I see people running around trying to keep up with the change. But what do you think is not changing? Well that’s true, you know, a hundred thousand years of evolution and we still take our pants off the same way. And it’ll take hundreds of thousands of years for it to change. Look, the things that aren’t changing are the big briefs and the big opportunities that we’re seeing day to day, the need to drive big, famous campaigns that attract talkability and sharing amongst consumers. They are the same now as they were twenty, thirty, forty years ago. How information is shared and how it’s distributed between customers is changing dramatically but the need for big creative ideas and/or solutions for clients are unchanging. So it’s interesting, isn’t it, because marketers seem to really struggle with what they see as the demand for getting results in the short term because most of these big ideas are really about longer term growth, aren’t they? Yeah, absolutely. I think where potentially marketers have gone wrong is swapping one out for the other and we would never suggest that. You do both the long term and the short term sales activations to create real growth for your business and I think with the proliferation of media, there’s so many different people selling at a CMO now, it’s been very difficult to navigate the winds of that change. But what we can see now, and we can prove it via real results, is that when you do long term fame and brand building campaigns at the same time as tactical sales initiatives, you’ll get unprecedented growth. Those long term activities do need a longer term strategy, don’t they? I think every brand needs a longer term strategy. I think it’s very, very easy for either CMOs and agencies for that matter to chop and change strategies too quickly. If you think about the great strategies in Australia, in the Australian landscape. AAMI. Lucky you’re with AAMI. What a fantastic long term platform, that’s been in market now I think for at least three decades and it’s just a great example of a brand that’s stuck to its guns all those years and delivered that and delivered great advertising time and time again with the same strategy. And they actually end up owning sort of the elements of that campaign as well, the customer service person from AAMI or A-A-M-I, is the same as the Singapore Girl or, god forbid the Marlboro Cowboy. He’s gone to heaven apparently. Well good luck to him. No, absolutely right. I think the way that that brand has come to life I suppose creatively, has had that vein of consistency for decades and I think more Australian brands should stick to their knitting strategically and then like an anchor that’s in the sand, the boat can move around at the top, but it’s always anchored to that one strategic thing. But Andrew, there must be huge pressure on CMOs that when they’re appointed to a brand, a company, that they need to make change, you know? 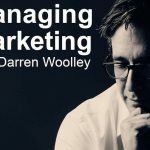 So how does a CMO come into a new role, because they’ve been appointed either because the last CMO has moved on or has been pushed out, so they need to come in and make a stand, make a mark. I think that’s fair and I think it’s really just the mandate by which they come in. If the previous CMO has been moved on, there’ll be a specific reason for that from the board and from the CEO and the mandate might be make the change because what we’re doing now is not working. Equally, the CMO might be coming in because that person’s just moved on and they say, “Well, what we’re doing now is working, so I need to continue that if not make that better”. So I think it’s just apples for apples. I think that the case will change. Do I think that there is an opportunity for more consistency in this space? Yes, I think so. I think it’s too easy for a new CMO to come in and just make a change for change sake. So I do see that from time to time as well. Because I’ll pick you up on that point about, “It’s not working”. It really does depend what the measure is of what’s working and what isn’t working, doesn’t it? Oh yes. I think if it’s softer measures then everything is arguable but if it’s fundamentally not working and the board, and the customer base is not increasing or they’re not selling enough widgets, then that pressure will come to bare and then it comes down to what’s not working. Have we been too tactically focused and lost brand consideration or vice versa, have we spent all of our money and we’ve got enough brand consideration and we’re not converting? So they’re the things when we talk about you must be focusing on brand consideration and your tactical work at the same time and when those both things are working well together, that’s when you’re achieving great results. And how much to put in short term tactical to? I think they got to 70/30? Seventy percent long term and thirty percent tactically and they used thousands of Effie papers to prove that out. They can prove that when you do long term and tactical together at those ratios, you will outperform the market significantly from sales and profit so these are the great things that we’ve fundamentally believed that were there, thereabouts right, but were never able to prove it. Now we can prove it. Yeah. Maybe! Not from my point of view. And I think that the data would suggest that. Where I think the world got to for many clients is completely the inverse. If any brand at all, let’s take a category like FMCG, okay? They were the biggest advertising spenders, so twenty years ago, when you and I were starting out in DDB and you were developing your business, the FMCG brands, the Cadburys, the Simplots, they were the biggest advertisers or some of the biggest advertisers in the country and generally, some of the most creative advertisers in the country. They would create fantastic work that generated a ground swirl of support for their brands and it drove customers into Coles or Woolworths. As time has progressed, that whole category, more or less, there are some exceptions of course, but more or less, that whole category is being driven into the tactical which is more and more money to Coles and Woolworths for their catalogues or whatever else, to maintain shelf space with the pressures of the own brands from those big retailers and that’s come at the expense of brand marketing and where we are today is nowhere. Many of these clients are facing being de-listed from shelves if they haven’t already and the Woolworths or Coles branded products sit on shelves. So for me, that’s a classic example of where a whole category got their priorities wrong and should’ve been doing both but for whatever reason, decided to push it all into tactics and this is no doubt pressure from boards and management groups and directors and that’s I think down through the CMO. But gee, I don’t know how you reverse that now. It’s been at least a decade in the making. Well some of it is this whole focus on delivering the quarterly results? If I take seventy percent of my marketing budget and put it into long term strategies which could take two years, three years to actually show results, or I put it into sharing it with the retail partners to actually get more shelf on space, get promotional price of focus and actually move product off the shelves, even at a reduced margin. Yes, yes. So I think in the same way that it took a long time for brand to shift down to tactical, it’s going to take the same amount of time to move it back. I think the headline of 70/30 is a good one because it allows a CMO to sit there and go, “Cripes, I’m the opposite of that. Maybe I need to address some balance issues here and maybe it’s year one, a ten percent shift back into brand, year two, it’s twenty percent and you move back up to more of an equilibrium. That’s what we would recommend. Never to just do one or the other because I’d take your point, you know, we’re working with some big public companies where always the pressure is on the entire business to deliver those quarterly results. We are a public company. Omnicom is a public company and equally the pressure is on for quarterly results, right? Those fundamentals don’t change. But unless you arrest it, well, god help us, you’re nowhere. You’ll go down the same path as the FMCG example I used previously. This is not just in Australia because we just read recently that 3G, the Brazilian investment company that bought Kraft Heinz, has now written down those brands by I think fifteen billion dollars U.S. because they said the brands aren’t as valuable as they thought they were. Well it just shows what happens when you cut your costs and stop investing in the long term brand value. Absolutely. Absolutely. I think the more that we can do, CMOs, agencies and the industry more broadly to prove the worth of what we do at a board level, the better we’re going to go. So I know there’s a lot of work going out at the comms council in this space and at the AANA as well. I think the more work we do here around educating CEOs and boards and directors in this space of the value of what we do, the better we’ll go. Now agencies are having to adapt, right? 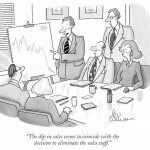 The CMO comes in, the new CMO runs a pitch sometimes or rationalises the roster that they already have. They’re also looking for solutions beyond just the pitch, we’ve seen the rise, especially in the U.S. of taking agency resources in-house. How do you feel about that? Do you think this is a trend that’s going to continue or do you think it’s an aberration? In terms of taking agency resource in house, I would argue that that’s happening at a very base level at the moment. It’s either studio based work which is automation taking over that part of the business potentially anyway, or it’s programmatic, it’s going into that media space or digital space where those kinds of resources can sit quite comfortably in house. In fact, a client will generally pay more than an agency would for the resource itself without having the agency mark up for instance. So we’re seeing a little bit of that. In terms of the big strategic and creative ideation though, I’m yet to see an example of that within my business or our business where that’s going into a client. I think our big clients, both here in Australia and globally are actually more interested now in our ideation, our creative thinking and applying that to business problems, not just comms, than ever before. So I’m super excited about going higher up the food chain and using our creative fire power to solve business problems outside of communications. And if that’s at the expense of some work that could be automated or done more efficiently or better in clients, then so be it. One of the things that is happening is that clients are looking at the agency and the total package that the agency offers and is not necessarily seeing value at every part of that which is why you mentioned production. Production is one of those key areas and in fact, some of the holding companies are building specialist production units to actually take that production off their own agencies. Yeah, yeah. I’m seeing that across other networks. It hasn’t really affected the Omnicom network yet but you’ve got three quite big group agencies in their own right within the Omnicom network in Australia with obviously Clemenger BBDO and DDB and TBWA being the three main groups which have all got their group resources in it and we tend to compete as a group against a WPP or a Publicis who have local management structures in Australia whereas Omnicom doesn’t. But look, the questions that we’re getting asked more often are about full service communications from clients. We tend to attract a scale of client in the larger scale, like the big banks and so on. They’re more than ever before, interested in how do we provide a holistic solution for them which production is just way down the end of. How do we provide strategic and creative ideas that span any media, right? Then they might choose to execute certain elements of that themselves. So the value of what they’re paying is dropping. But at the same time, the outputs of those relationships, so the numbers of things done by the agency have actually gone up almost exponentially and the reason for that and you mentioned it before, is all of the new channels. So whereas in the days of the consumer packaged goods you’d make a TV campaign and five or six other channels. Today you’ve got Facebook, Instagram, you’ve got a thousand updates on a daily basis across different target audiences, even those that are getting into personalisation, they want to be able to personalise to a million customers, you know? So suddenly the outputs of the agency, production, are exponentially large. Now, the traditional agency model is quite linear, even in production. It is literally like a production line, I know it’s a creative production line, but it’s still a production line. To scale like that is expensive. It is, but then at the same time, the rise of technological solutions in terms of production has increased as well, just last week I think we did a hundred and sixty variants overnight for a particular campaign for a particular client which in the old days would have taken us days and days and many heads of resource doing that manual process. Now we can automate that particular process. But just that in itself grates a little with me as well because this proliferation of media is all well and good but then what does it mean about the content in each of those media and is that content really specifically designed for that media? I mean, if you just think about the way that you consume media day to day, how much of it is deeply personal to you and how much of it moves you, full stop, to actually act? Or is it just ticking a box in the thousands and thousands of elements that go into a typical media plan. So that’s a challenge again, it’s all well and good to have all of this media and all of this deep personalisation but where’s the content? What do they call that? Spray and pray, you know? Just load it all up and hopefully it’ll hit the target somewhere. You can all see it. I can jump on a website because someone told me to have a look and then that thing follows me for the next three years trying to sell to me. I wasn’t even interested in the first place; I was just told to have a look. So look, spray and pray is a great term because automation, the amount of production that we have to complete now for the price that’s being demanded by procurement departments and all that sort of thing is worrisome because all it does is lead to, “What is the most efficient way to get this crap out?” As opposed to, “This media demands that we have a bespoke relationship with it and that it’s a brilliant creative opportunity to move people into action”. So to go back to the holistic approach, and I think you mentioned about media channels and the choice of media channels, around the time or probably just before you started at DDB, that we separated media from creative. Before that, when I started as a copywriter in the mid-eighties at JWT, they’d just taken the media department that used to be JWT Media and turned it into Mindshare. DDB owned, same thing, so. Yeah look, some clients are complaining, not all of them because none of my clients are complaining about it. So that’s an interesting point, I think. Maybe they don’t think you’ve got the solution. Because believe me, there’s a lot of people out there talking about it. There’s a lot of people talking about it. Putting the toothpaste back in the tube and I think that was Harold Mitchell’s quote, he said, “Once you’ve separated it, you can’t put the toothpaste back in the tube”, you know? He was a very smart man, Harold. Look, I think back twenty and thirty years and go, “Was the work exponentially better then than it is now?” No, I don’t believe it was, right? So that’s my first point. My second point is, I think it comes down to the scale of the clients again. We’re very lucky to have OMD and PHD amongst others in our Omnicom network, both are excellent agencies and we work with them on some of our clients, McDonalds and Volkswagen are two good examples. But equally, we’re working with many other media agencies in Australia for instance, Westpac who have a bespoke media agency embedded in their business. And I think in all of these relationships, it comes down to the expectations that are set by the CMO and the group, right? Which is, you will respect one another’s relationship and our business and we expect you to work together and strategically solve our solutions together. So for example, McDonalds, OMD, DDB and VML for that matter, are in it together. Every single week, we’re at one of our offices with the marketing team and the three agencies in together working on strategies, sharing work with each other, we share work with each other before it goes back to McDonalds and we come back as a dedicated group. And they are for me, the best relationships. The same goes for Westpac and for Volkswagen as well. They are the best relationships where you’ve got a great culture at the heart of that relationship, clear expectations and no one’s trying to cut each other’s lunch, right? So that’s, that’s the first part. That is a very, very happy and successful way to do it. The other piece that it gives…. Sorry, you’re all competing for a share of budget though in a way? Not really. No, no I don’t think so. Well in that one of the big hassles is that media will say to the client to get the sort of reach and frequency they need against the target audience, they need a certain amount of money. Then creatively you need an amount of money to actually create a piece of communication that’s going to engage the audience because there’s no point in having reach and frequency if there’s no engagement. Then whether it’s digital channels versus traditional, everyone’s got a perspective. How do you get that sort of alignment because I think this is the real challenge. It’s not so much that you know, you’ve all got the right attitude, there is actually something intrinsic in getting agencies to actually work together, so what is it? Well first of all for the scale of these types of concepts, they’re mostly fee based so the removal of the bottom line piece goes away more or less, right? Also at scale, you generally have a budget where we know that we need to spend about this amount to achieve our goals and that’s going to cost this in terms of production so those things rarely come up as well. But the other, the big important piece is there’s this lovely little tension that goes on which I think actually can make the work better at the end of the day. So this little tension between media and an agency, strategically and creatively can be a very powerful thing with that little bit of tension. I think if you bring it in house, it could be a little self-serving, right? And this is why I’m not hearing these questions. It’s not whether I could potentially do it, I’ve got the scale of this business to be able to get into media if I wanted to, I just don’t want to. I don’t think my clients are interested because we’re getting reasonably good results. We’re getting very good results I think across these client bases so there’s this tension that exists between an agency and a media agency in terms of getting to a strategy which I think is powerful and really interesting and I think if you bring it in house, I think there’s a scale issue for those that are touting, it’s coming back. I mean, you can probably correct me here, Darren, but I can’t think of a major Australian brand. I can think of plenty of midsize range clients and smaller clients and then I would talk about…. And look, it does appeal to that mid-range and smaller client because there’s a level of convenience. Having, whether you call it one throat to choke. Or one point of strategic contact that makes it quite good. I do get your point though because you know, when media was in house, there could still be that tension but the client would never see it, first of all, and secondly, invariably, whoever had the loudest voice in the agency would win. So whether it was the creative director who wanted to go and shoot overseas and needed the extra budget that was going to take three or four hundred thousand out of media which meant that the client wouldn’t get their roadblock on a Sunday night. You know, these were the types of things. But now media’s much more complicated. I mean, these ideas of a Sunday night roadblock, I’m sure seven, nine and ten would like to think that you know, that’s how media was still decided but the decision about what digital channels, how you’re going to use them, what role mobile plays, these are all big complex issues. That’s right. And I think it’s probably just a reflection too of the fact that as a media agency, an agency and a creative agency working together, we’re not just looking at briefs anymore, we’re looking at the entire customer experience of which the brief is just one part of that, right? So if you are looking at the entire customer experience, you’re looking really at the use of data and one to one relationships and how they can be influential. You’ve got the thousands of digital opportunities that apply across that including the very own channels of the client, right, and who’s responsible for them and how are they integrated with this work. Then we’re looking at how do we invent product solutions, right, to better deliver on that customer experience for clients? So that’s where it’s getting really interesting and if you’ve got your media agency and your creative agency in there together and you’re really nutting that out and fighting that out and that healthy tension, I think it can be really powerful. Now I saw, it was only recently an announcement by OMD or Omnicom Media Group in Australia that they’re replacing M2M with the Hearts and Science brand in Australia. That must be an interesting transformation because one of the great things about Hearts and Science is they’re such a data driven business, media business. So that would potentially change that relationship because instead of thinking of putting the tube back into the toothpaste, going back to the old model of creative and media side by side, you’re actually starting to look at Hearts and Science with their access to data and data analytics being a really important strategic starting point on these projects to actually inform the creative brief. Yeah. Yes, and no. So yes for their clients, fantastic, brilliant. But again, we’re tending to work as full service solutions where track would already be potentially delivering that for a client where we’re already working with either OMD or somebody else. So I think it’s a great thing for OMD to be doing and getting into but we’ve obviously had a successful business in that space for some time. Do we get into the media side of it like for instance, CHE are doing or it seems that they’re doing by press releases? So Chris is a very smart guy and he seems to be building a media function in his business. I think he’s just going slightly adjacent to his sweet spot, so specialisation in data and technology and the importance of that across his client base. So I can see how he can naturally build a media solution off the back of that from brands and the scale of clients in that space who are interested so I can see that. But from our point of view, yeah, not interested in that space at the moment. Sorry, I got lost there a bit, coming back to the Hearts and Science piece, I think much of what they’re going to be offering there, we’re already offering here. So are they going to be competing with us? Well, I don’t think so. Yeah. Data planning and analytics and all that sort of piece has been embedded in our business, it’s what I ran when I first started at DDB, the Rapp Collins business it was called in those days, is now called Track and that’s an important function across all of our client bases retained across those businesses. I think especially when I’ve had those conversations in the U.S., there’s quite a few of the media companies, Hearts and Science is one, MDC Media Partners is another one, they’re actually accessing huge amounts of data that’s only available to a media agency in that you can imagine the data that comes from all of the publisher data. So all of the information around target audiences, their whole internet behaviour, all of that, is getting piled in and then they’re adding it to all the proprietary data and that type of thing so we’re actually seeing the media agencies themselves building this capability that is a great starting point for a data informed strategy rather than the traditional approach which would be a research informed strategy. Oh, if only they could access that data. Well I think they can access it, the trick is, what to do with it, right? I think all the banks would go, “I’m overloaded with data”, right? There’s too much of it. The trick is, how do you plan for it? What do you do with the insights as a result of that with these vast quantities of transactional information from millions of customers that are coming through every second. What do you do with it? How do you create clusters and things at scale that are going to make a meaningful difference to your business? Now do I need to add all the publishing data to that as well? I don’t know. But I’m sure the media companies have thought very, very well and clearly about this and I’m sure that they’re thinking about their future revenue streams and how they move up the food chain in the same way that I was talking about before to create more value for their clients. Now you talk about specialism versus scale. I’ve seen you mention this a few times publicly and through the trade media. What’s the concept there? Look, we are a full service agency. We make no bones about this, but we do carry our specialist brands as well. So we have the ability to be nimble and flexible via project work for a client as opposed to the big all-encompassing strategic oversight and creative oversight no matter what the channel. So I suppose that’s the interesting part about our business is you can choose to take a bite size chunk or you can choose to take the whole thing. The majority of our clients take the whole thing. We are seeing and I have been seeing the move back to the full service agency over the past five years particularly. A lot of creative agency relationships were fragmented into digital agencies and CRM agencies and programmatic agencies. Sorry, full service without media? Yeah, I really believe that’s the case, yeah. When I talk about full service, I talk about full service strategic ideas, communications. Not media. Right. Because I think we need to be clear you know, because a lot of people say full service and they mean media, other people say full service in owning the strategy and the content, it’s a content play. But channel without content is going to always fail, isn’t it? Yep. Absolutely. Channel without the right content. Yeah, and content without channel. There’s no point having the right content if no one can find it. That’s right. That’s right. And it’s not about matching luggage, right? It’s not about creating an idea and just making seventeen thousand versions of it in the right size and format for the channel that you’ve got on your media plan. As I said before, it’s just lazy, right? I’d prefer to see us choosing way less but more potent messaging, in way less but more potent media. Okay. So where do you see the future then for agencies that are either just specialists, just a specialist offering without being part of this, or those that have gone down the path of trying to be everything to everyone offering all of them? Well I think be one or the other. I think if you’re in the middle, you’ve got a big problem, alright? So I think either be a full service communications business and target the scale of those clients who are requiring that at the moment. Or, be a brilliant, brilliant specialist. But don’t try to be anything more than that. And hope that you get bought by someone. Because isn’t that why you started a specialist agency, to grow it and then sell? I think you’d call a CHE Proximity, I think you’d call a Lavender, great specialist businesses who know exactly who they are and what they do and they’re very, very, good at it. Yes, they expand into you know, broader aspects of CX or in Chris’ s case, even media, right? But they are brilliant and they’ve got data and technology at their heart and everyone knows that and they are specialists in that and that’s why they’re successful. Chris, he’s wholly owned by Omnicom but is Will Lavender dying to be bought? I don’t know. Wouldn’t have a clue. I think for years, Will’s been hanging out for the right price. Just no one’s ever come up with the right price. He knows what his business is worth. He does and that’s what I mean by being a great specialist business. There’s going to be exactly the same role for the Clemengers and DDBs and TBWA’s of this world to be great full service agencies in their own right as well. Excellent. Well look, Andrew, thanks for sitting down and having a chat. All good, Darren, nice to spend some time with you. But coming up for twenty years, that must be an awful lot of long service leave you’ve got owing. Have you started making plans for how you’re going to spend it?